As I discover new and exciting brands, it is my goal to highlight black owned businesses in Beauty. So if you know of any or you are one shoot me an email. 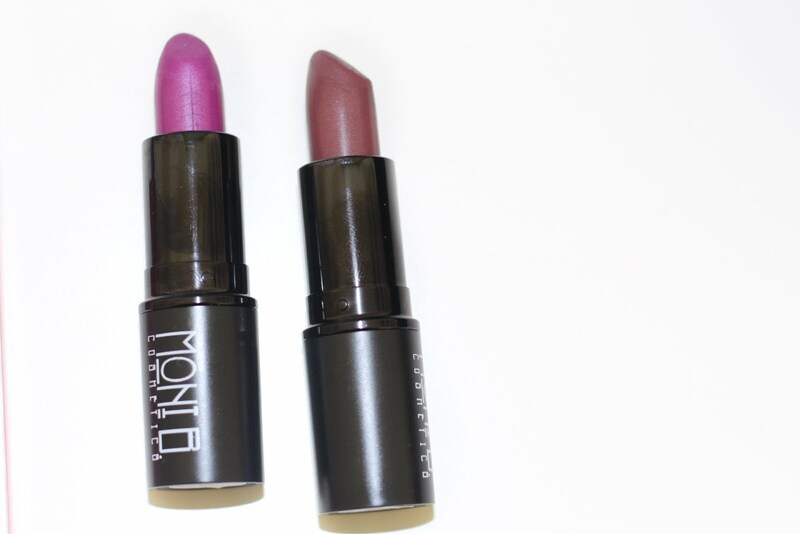 Today’s feature is black owned cosmetic line, Moni B. Cosmetics. They sent over a few of their lippies and y’all know how I do. Swatches and honest review/ first impressions are down below. With any start up or small cosmetic line the packaging typically takes a back seat. However, I was really impressed with Moni B’s logo and lipstick tubes. I love when lipsticks have weight to them. It makes me feel like I’m paying for something of quality. I’ll start off with the good. I love the colors of the lipsticks and the pigment is great. They look just as they appear in the tube and that’s always a plus. How many times have we all been con’d into loving a color in the tube…only to swatch it and find out it was all a lie?! My only con is that they apply a little rough. I really had to force the lipstick on my lips. It felt kind of waxy. 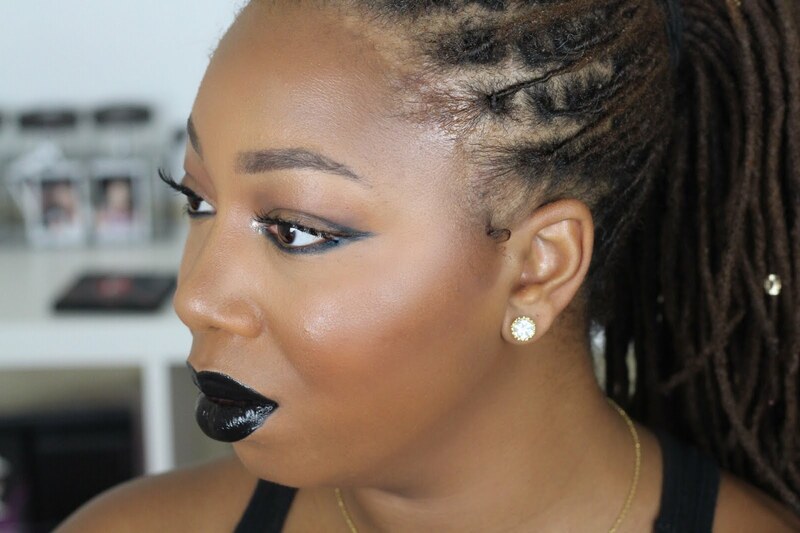 It is a mega matte, however I have tons of mega matte lippies that go on a bit smoother. That is my only con. Either way, I will be wearing Demure this fall, I love it! I’m going to start with the con’s. As you can see in the image right above, this pink shade did not work for me at all. I feel like it was one of those Colour Pop situations where some people got a bad batch. That’s what I feel happened here. No matter how I tried to apply it, no matter how many layers it would not act right. It’s safe to say I hate it. Alter ego tho?! LOVE Alter ego! To the untrained eye, its black. Its really like a deep dark, green color. I don’t know how else to describe it. (lol) It applied wonderfully and feels exactly how its labeled. Creamy matte! I left it on for about an hour. It never went full matte on me and maintained its color. Two thumbs up for alter ego. Only one con though; the peppermint scent is a pinch too strong. Pull back on that just a little bit and it would be that much better. That’s all folks. I’m looking forward to trying more products from Moni B Cosmetics the brand is to expand in to blushes, powders and eyeshadows.